Jay Rosenstein is a three-time Emmy winning independent documentary producer, director, writer, and editor whose work has been seen nationally on the PBS series' P.O.V. and Independent Lens, the ABC World News, ESPN, the Nickelodeon Channel, the Independent Film Channel, and film festivals worldwide including the Sundance Film Festival. 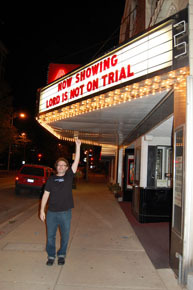 His latest documentary, THE LORD IS NOT ON TRIAL HERE TODAY, takes a never-before-seen look at the landmark First Amendment case McCollum vs. Board of Education, which resulted in the beginning of separation of church and state in American public schools. The film had its world premiere in October of 2010 and has won two Emmy awards for Best Historical Documentary and Best Writing in the Mid America region. The documentary will be broadcast nationally on PBS in March of 2011. His previous work includes the documentaries THE AMASONG CHORUS: SINGING OUT, which aired on the national PBS series Independent Lens in 2004 and won a Documentary Award of Excellence from the Broadcast Education Association and a CINE Golden Eagle, and ERASED, which premiered at the prestigious Sundance Film Festival in 2001 and screened at the South by Southwest Film Festival in Austin, Texas, the Los Angeles Film Festival, the Full Frame Documentary Film Festival, as well as others, and won a Special Jury Award from the Ann Arbor Film Festival and a Director's Citation Award from the Black Maria Film Festival. His best-known documentary, the groundbreaking IN WHOSE HONOR? AMERICAN INDIAN MASCOTS IN SPORTS, aired nationally on the PBS series Point of View, was nominated for a Peabody Award, and was recognized by the Columbia University Graduate School of Journalism as one of the most outstanding programs on race in American television in 1997-98. 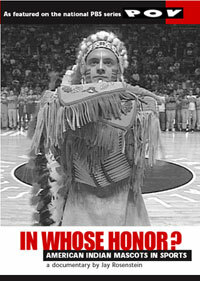 IN WHOSE HONOR? is also being used as an educational resource in more than 500 colleges and universities nationwide and in Canada. 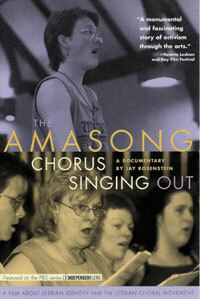 THE LORD IS NOT ON TRIAL HERE TODAY, THE AMASONG CHORUS SINGING OUT, and IN WHOSE HONOR?are all available on DVD for educational use from New Day Films. Jay has received grants from the National Endowment for the Arts, the Paul Robeson Fund for Independent Media, the Independent Television Service (twice), the Illinois Humanities Council, and the Illinois Arts Council. He can be contacted via email at jayrosenstein@hotmail.com.